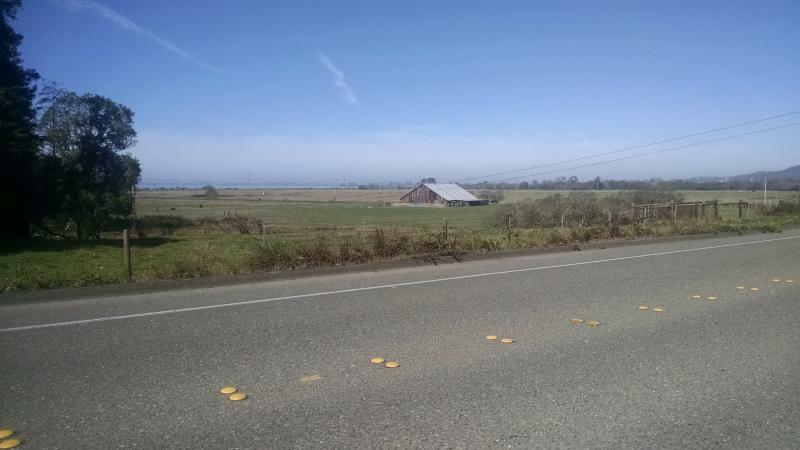 Humboldt Bay Marathon - Road Closures - REVISED for new Course 2018! Road Closures - REVISED for new Course 2018! For the safety of our runners, the roads listed below will be fully or partially closed. Detours are available as explained below. The closures are subject to permits issued by the City of Eureka, the City of Arcata, Humboldt County and the California Department of Transportation. Road closures will be enforced by the California Highway Patrol and all local law enforcement agencies. Drivers are advised to use extreme caution if it is necessary to cross the race course and also to yield to runners in the roadway. Here is an interactive and detailed map of the course (preliminary to be adjusted upon final measurement and certification). - 10th Street between L and Q will be closed. Please use 11th Street. - Northbound Q Street between 10th and 17th will be closed. Cross traffic allowed at 11th St.
Arcata Bottoms: Foster, Seidel, Lanphere, Upper Bay Road, Ernest Way, Alice Avenue, Parton Lane, Miller Lane, Mad River Road, and Jackson Ranch Road will be closed to through traffic between 7 AM and Noon. If you live in this area and need to get in or out, please use caution and watch for runners on the roadway between 8 AM and noon. To access Mad River Park, please use Upper Bay Road to Mad River Road. Avoid using Parton Lane and Miller Lane if at all possible. Samoa: The northern end of Vance Road (between CA 255 and Cookhouse Road) and Cookhouse Road will be closed to through traffic between 7 AM and 1:00 PM. If you live in this area and need to get in or out, please use caution and watch for runners in the roadway between 8:30 AM and 1:00 PM. - The northbound lane of L Street between 2nd and Waterfront will be closed. Please detour via I Street. We have created Humboldt Bay Marathon as an organization dedicated to promoting and supporting trails and outdoor recreation in Humboldt County. We graciously ask that you be supportive and patient with the impact on traffic. Thank you! The safety of our runners and our volunteers is our first priority. The main roads used for our courses will either be fully closed or have one side of the road closed. Cross traffic will be allowed at some intersections, but these will be heavily controlled with barriers and flag people to ensure that runners have priority with no interference from crossing traffic. The time limit for the marathon will be 6 hours and 30 minutes. The half marathon course limit is 4 hours and 30 minutes. Roads will be reopened, and runners who fall behind this minimum pace will be required to stop and abandon the race.